According to a study, there is a treatment based on the insertion of single-use, flexible silicone-based tube into one nostril, called nasopharyngeal airway stent. These allow the flow of air and are an effective and well-tolerated treatment for patients with obstructive sleep apnea. These are an alternative to CPAP machines, which are the usual treatment but are uncomfortable with a great percentage of sleep apnea sufferers, reaching an abandonment rate of 50%. The study revealed that patients with moderate to severe apnea showed a significant improvement, but patients with mild sleep apnea did not present a similar improvement. More info click here. According to researchers, there is a chemical clock in the brain that generates a desire to sleep. It consists of a set of proteins which track how long a test mouse has been awake. These accumulate during waking hours at relatively even intervals, keeping to keep track of how long it has been since a mouse last slept. Also, the level of protein accumulation was related to deeper and longer sleep. Also, the protein clock was reset during sleep. This might lead to new drugs for sleep disorders, in which they improve the additions of these proteins to induce sleepiness and treat insomnia. It also might help understand why some people require less sleep and perform efficiently after five hours of rest, which could be because they accumulate fewer proteins. More Information click here. According to a study, one symptom of sleep apnea might be floppy eyelids, with a lax and rubbery look. This was present in more than half of the patients in the study. The most severe cases of sleep apnea correlated with the most pronounced cases of floppy eyelids. Patients had one of the following conditions: lax eyelid condition (rubbery lids); lax eyelid syndrome (lax eyelids plus conjunctivitis); and floppy eyelid syndrome (lax eyelid syndrome in obese young men). Even though there is not a clear explanation, specialists believe that sleep apnea is associated with low-grade inflammation that affects elastin, a protein that allows skin and other tissues to resume their original shape after stretching or contracting. Many sleep apnea sufferers are undiagnosed because this condition occurs when the patient is asleep, but sometimes it can be identified when there is fatigue and headaches when waking up. Also, the patient might snore due to a partial airway obstruction, but the condition is considered as sleep apnea when there is a total obstruction and the patient ceases to breathe for several seconds. These are interesting news because the usual way to diagnose this condition is via a sleep study, which in some cases might be expensive. Click here for more info. There are many apps and devices to monitor sleep. Some can even monitor REM, and deep sleep phases, but do not give a useful measure informing if the user slept well. There are also fitness trackers but are not specialized in something with the complexity of sleep tracking. This free iPhone app is more sophisticated than other sleep tracking app. It measures sleep by ‘pinging’ the sleeper overnight with an ultrasound, which allows it to detect movement and breathing patterns, similar to bats using echo-location. It detects the signature patterns of breathing and movement while sleeping, and shows a sleep score. Also, the sound waves have a frequency of 18KHz to 20KHz, having no impact on sleep. Click here for more details. The alertness level with caffeine could be optimized with a newly developed algorithm. Most people take caffeine to stimulate their mood and alertness, and well as to combat the effects of sleep loss. However, in some cases, excess consumption of caffeine can have side effects, such as digestive issues. Researchers have proposed an automated optimization algorithm to determine the caffeine dose maximize alertness under any sleep-loss condition. It showed how to dose the caffeine to consume to improve alertness by 64%, without increasing the amount of caffeine. It also showed how to dose it, reducing its consumption by 65%, having the same improvement in alertness. It can also provide a caffeine dosing to maximize its benefits in a particular sleep-wake cycle. Additional info click here. Sleep-deprived kids increase the risk of cardiovascular conditions when reaching adult age. The cause of poor sleep can be screen time, in the form of television viewing, or small screens, such as smartphones and tablets. There is also a lack of awareness among parents in reference to the kid’s sleep time. According to specialists, teens sleeping less than seven hours a night tended to have more body fat, elevated blood pressure, and less healthy cholesterol levels, which affect the cardiovascular system. In some cases, kids as young as 13 years already have adverse cardiometabolic profiles. A study showed that kids and teens with a shorter sleep duration and more restless sleep had the least healthy profiles. If untreated, the profiles will worsen when reaching adult age, increasing the risk of heart disease. More details click here. Poor sleep can affect concentration, productivity, and mental health. The most common sleep disorders are insomnia and sleep apnea but they are not the only ones. Among them is REM sleep behavior disorder, in which, instead of dreaming in a motionless state (which is caused by a temporary paralysis of arms and legs), the person physically acts his dreams. Another disorder is called restless legs syndrome, in which the patient constantly moves his legs. A particular disorder is called exploding head syndrome (EHS), in which the patient listens to explosions, gunshots, fireworks, thunder, and doors slamming, among others. It is also accompanied by sensations of electricity, palpitations, breathing difficulties, and sweating. The cause may be related to stress and emotional tension. Also, we have heard of somnambulism, in which the patient walks when sleeping. There is a similar disorder, called parasomnia, in which the patient eats and drinks while asleep. Check all the unusual sleep disorders. Click here for more information. There is a new device for controlling sleep apnea. It is a smart pillow that detects when the person is snoring and forces him to change a position. It looks like a large pillow but includes technological gadgets such as 8 miniature Bluetooth speakers, adjustable memory foam pieces, a microphone that monitors snoring, two vibration motors, and a gyroscope that tracks motion while the user is asleep. The pillow monitors the sounds, and if there is snoring, it activates the motors to force the user to change position. It also can stream music through its speakers and does not disturb the sleep partner. It can even be programmed to gently awake, and also log the sleep and snoring data, Click here for more details. Sleep apnea is often overlooked because it occurs at night and the patient is not aware of it. Excessive snoring is one of the symptoms, but not the definitive one. Snoring occurs when the soft tissue at the back of the throat relaxes, causing a partial obstruction. The snoring sound is caused by the vibration of this tissue. However, snoring turns into sleep apnea when there is a total airway obstruction, and the persons stops breathing. The brain sends an impulse to wake up and resume breathing. This is a process that may occur several times each night, but the patient is not aware of this. The symptoms appear the next day, like fatigue, headaches, and lack of concentration. However, the health consequences might be even more serious, such as a higher risk of depression, heart attacks, strokes, and other cardiovascular conditions. According to studies, 40% of adults snore, and 25% have sleep apnea. Of these, 90% of people are not diagnosed. One of the consequences is that 30% of car crashes are caused by sleepy drivers and that drivers with sleep apnea multiply by 5 the risk of a car accident, compared to other drivers. More Information click here. Children are spending more than 7 hours per day in sedentary activities, such as TV, computers, video games, cell phones, and movies. This lack of exercise, in addition to a poor diet, is exposing them to obesity. This will have a huge impact on their health in adult life, resulting in a predisposition to excess weight, heart disease, stroke, liver disease, and cancer. Also, overweight children may begin suffering from sleep apnea, which will lead to inflammation, increasing blood pressure, insulin and cortisol. These are serious health conditions for children. The solution would be to inform parents how these habits will affect their children as adults. Also, pregnant women with excess weight increase the risk of obesity in their children by 28%. Click here for more information. Insufficient sleep is a condition caused by modern life, but it can have serious health consequences, such as an increase in the risk of obesity, heart disease, and cancer. This condition is known as chronic sleep disruption and includes untreated sleep disorders such as sleep apnea and snoring. Among the symptoms are difficulty to wake up in the morning, and falling asleep during the day. Also, extreme daytime fatigue, tiredness, poor attention span, and mood changes. Another consequence of sleep disruption is depression. The same symptoms occur in people who work on a rotating shift, in which the body reacts to the change in sleep-wake cycles. More info click here. Obstructive sleep apnea is a condition that is not easy to diagnose. On the other hand, if untreated, it can increase the risk of cardiovascular problems and cognitive disease. A recent research has found that the elevation in certain biomarkers in the blood is present in patients with sleep apnea. This technique is superior for other screening methods used diagnosis, particularly in non-obese males. This is an accurate, simple, inexpensive, and quick diagnosis method, as opposed to the usual procedure for sleep apnea, which is expensive and requires staying overnight at a sleep clinic. Additional info click here. Snoring affects the snorer because it might be caused by sleep apnea, and the bed partner, who has difficulty staying asleep. Earplugs solve the partner’s problem, but not the snorer’s. One solution to avoid snoring is a silicon tube placed in the nose that reaches the back throat. It measures 6 inches and keeps the airway open. In case there is a diagnosis of sleep apnea, this is an alternative to CPAP machines, which force positive pressure to the lungs, but also must require wearing a mask while sleeping, which many people consider very uncomfortable. The silicon is available in 6 sizes, and include a clip for easy removal, and to prevent it from being inhaled during sleep. It works like a tunnel for normal breathing and prevents the soft tissue in the throat from closing the airway. According to specialists, it is also an alternative to expensive invasive surgery to prevent snoring and sleep apnea. More details click here. Researchers have found that a single brain area controls both sleep and wakefulness. Previously, it was thought that the cerebral cortex, the area in contact with the skull, produces sleep-inducing slow brain waves, and wakefulness is controlled by the lower, mammalian part of our brain. However, according to recent discoveries, the thalamus is responsible for the states of consciousness, and for sending sensory information to the brain. Stimulating this area induced wakefulness in test animals, while lowering the stimulus in a rhythmic way resulted in a deep, non-REM sleep. REM sleep phase includes dreams, while non-REM sleep is the two main sleep phases; the former is the stage during which we dream, while the latter is the deep, restorative sleep. Also, the research showed that suppressing the stimulus to the thalamus prevented the recovery from sleep loss. Additional details click here. Sleep apnea is a largely undiagnosed condition. 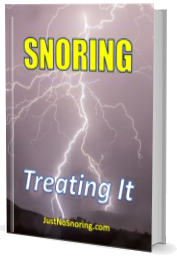 Snoring is one of its symptoms, but not all snorers have sleep apnea. It can be identified if the person was tired, with a headache, and sleepy, and can affect job performance. This is because in sleep apnea the soft tissue in the back of the throat closes the airway, preventing breathing. The brain reacts by waking the person to force him to change position. This occurs many times per hour, without the person knowing, which results in an interrupted sleep. Diagnosis requires staying at night in a sleep clinic, which is expensive. However, there is a new diagnosis procedure, which only requires a blood test. According to researchers, certain biomarkers are present in sleep apnea, which can identify the severity of sleep apnea, and determine the requirement to assist to a sleep center for confirmation. These blood tests can also help identify sleep apnea in non-obese patients, who have a lower risk of suffering from this condition. This diagnosis procedure has proven more effective than other screening methods. Click here for more info. Tonsillectomies are one of the most usual surgeries performed on children, but there might be further complications, so the decision requires a careful evaluation. There are two main reasons for this surgical procedure. One of them is airway obstruction because is the size of the tonsils and adenoids. While sleeping, gravity can lower the tonsils and block the airway, resulting in snoring and sleep apnea. Parents may detect if the child is snoring and has pauses in breathing. This can worsen if the child is overweight. Another reason for tonsil removal, is recurrent throat infections, including fever, enlarged lymph nodes, or presence of pus on the tonsils. In this case, a tonsillectomy can decrease the number of infections. More details click here. Studies have found that patients with asthma also suffer from obstructive sleep apnea (OSA). Up to 60% of patients with asthma have OSA, and this grows to 95% in the cases of severe asthma. Also, OSA worsens asthma. In addition, obesity and gastrointestinal reflux disease, also known as acid reflux, also contribute to the development of OSA in patients with asthma. Therefore, reducing body weight with a proper diet and exercise can significantly improve both conditions. It is also important to stop smoking since it can also airway inflammation, worsening asthma and OSA symptoms. Additional info click here. It Reduces The Inflammation In The Airway, Easing The Breathing Process. There is a medication used to treat a skin condition called psoriasis which could also be used to treat snoring. Skin psoriasis is an auto-immune condition, in which the body’s immune cells attack the skin, causing inflammation. The medication is called dimethyl fumarate (its brand name is Tecfidera) and is used to reduce the inflammation that causes flare-ups of psoriasis. Users reported that there was a significant reduction in the number of times a night their sleep was interrupted by snoring. The reason could be that the anti-inflammatory drug also reduces the inflammation in the airway, easing the breathing process. Click here for more info. Many people say that it is better to prevent a health condition than to wait until it has developed into an illness. In the case of snoring, there are ways to prevent it, such as avoiding an excessive body weight, because the excess fat in the neck area narrows the air passage. Also, avoid substances and medications that relax the throat muscles and the back of the tongue, such as smoking, antihistamines, and sleeping pills. Sleeping on a side also helps, because the gravity does not pull down the relaxed tissue at the back of the tongue, blocking the airway. In addition, people with shirt collar sizes over 17 are more prone to snoring due to their thicker neck. More Information click here. Even though many people confuse both conditions, sleep apnea is different from snoring. In both cases, the tissue at the back of the tongue relaxes, causing partial obstruction of the airway. Snoring is the vibration caused by the air trying to pass through these obstructions, while sleep apnea occurs when the air passage gets completely obstructed, interrupting the breathing process and the oxygen flow to the brain, which makes it much more dangerous. Sleep apnea is usually treated with CPAP machines, which force air to the lungs. This does not mean that snoring is not serious, because it could worsen to sleep apnea. Some devices for snoring are actually oriented to the bed partner, to promote restful sleep. However, others do prevent snoring such as the EPAP. Similar to the CPAP, it provides a positive air pressure to prevent snoring but works differently. EPAP (expiratory positive airway pressure), is a device that is attached to the nostrils via a disposable adhesive strip and has a valve that allows the air flow in one direction. The patient can breathe in freely, but when breathing out the valves close. This generates extra air pressure back in the airway passages. This process causes an additional air pressure that stabilizes the throat and reduces the vibration that causes snoring. Another version of this device is oriented to patients with sleep apnea. Additional details click here. Sleeping positions are a habit, but some sleeping positions are better than others. Sleeping on the back with a higher pillow can reduce the risk of sleep apnea, but can also increase back pain and also snoring, because the spine is not properly aligned, and the soft tissue at the back of the tongue gets relaxed, obstructing the airway. Sleeping on the side, in a fetal position, is very common, but it can also cause spine misalignment if not using the proper pillows. However, there is another sleeping position, which can open up the lungs if suffering from obstructive sleep apnea. It consists of sleeping with the hands above the head, also called starfish position. Even if people find it uncomfortable and don’t sleep in this position, they wake up in this position. This means that the body is trying to breath more freely, which could be a symptom that there are problems sleeping at night. Also, this position may lead to back pain, which can be avoided by putting a pillow under the knees. More details click here. There are now a series of electronic devices that can track sleeping patterns and sleep apnea. On the other side, specialists suggest going the opposite way, disconnecting from all electronics and screens 30 minutes before going to sleep, to avoid the effects of blue light over melatonin, and to slow down the brain to prepare for sleep. Some of these devices are oriented to productivity-obsessed people who wish to be hyper-efficient at sleep. Some of them have microphones to track snoring and send a signal to a smart pillow or a smart mattress to force the person to change position. Others even measure the brainwaves to determine the amount of deep sleep. The solution is to have a proper sleep hygiene. Going to sleep and waking up at a certain hour is a simple as brushing the teeth every day and night. Click here for more details. Insomnia can be caused by excess stress, or by thinking about job issues, or the next morning’s presentation. But insomnia can also turn into a chronic condition, and it can be a symptom of a more serious health condition. One of them can be an overactive thyroid, in which excessive hormone production can alter the heart rate and body temperature, and also cause constant fatigue. Insomnia can be also caused by mental conditions such as depression and anxiety, which can worsen in the night in persons with sleep issues. Other causes are diabetes, in which the person feels extremely tired, but is unable to sleep. Obstructive sleep apnea is one of the consequences of diabetes, a condition in which the airway gets blocked while sleeping due to the relaxation of the tissue at the back of the tongue, causing sleep interruptions. Also, cardiovascular conditions can cause breathing problems, and central sleep apnea, which occurs when the brain fails to send the signals to continue breathing. Additional information click here. Most sleep apnea treatment consists of mechanical or electrical devices that prevent the blockage of the upper airway, avoiding the interruption, but they are very uncomfortable for some people. However, researchers are working on a new treatment based on drugs. A drug used for treating multiple sclerosis has proven effective in treating obstructive sleep apnea, compared to a placebo. This drug has anti-inflammatory effects. Studies have found that certain inflammatory molecules have been shown to be related to obstructive sleep apnea. Also, sleep apnea frequency or severity has been reduced with immunosuppressive agents. This new treatment would avoid the requirement to interact with CPAP machines or oral devices. Click here for more information. Sleep apnea is not easy to detect, because it occurs while sleeping. There are symptoms that can help identify it. The most common is excess snoring, which will probably be a cause to complain from the partner, but is not detectable if the person lies alone. Snoring also comes with regular breathing pauses, which disrupts sleep. The interruption in breathing leads to poor brain oxygenation, which results in headaches and excess fatigue when waking up, and also poor concentration and memory loss. It is important to check the symptoms, because, if sleep apnea is untreated, it can lead to serious health conditions, such as heart failure, diabetes, and strokes. Check all the symptoms of sleep apnea. Click here for more details.